If Brighton & Hove is to have a policy on its built environment that is worthy of its rich heritage, lessons must be learnt from other places where procedures are in place that do work well. Take Salisbury for example. Upon learning that the spire of Salisbury Cathedral is the UK’s tallest, I was looking forward to something special. At 123 metres, the Cathedral is the tallest medieval structure in the world yet amazingly its foundations are just 4 feet deep. As impressive as its dominance is, the fine collection of individual houses of The Close facing it is truly divine and captures the true essence of Englishness. Indeed, ‘Arundells’ on the Westside was the home of former Prime Minister, Sir Edward Heath. Salisbury is technically a city but it’s nothing like Brighton & Hove. In fact, it is more like Lewes in terms of size, atmosphere and layout. There is an interesting connection between Salisbury and Hove though – Churchill. Hove was where Sir Winston Churchill went to school and the small room at the front of the Haunch of Venison pub in Salisbury was where he and General Dwight Eisenhower met whilst planning the D-Day landings. Although Salisbury itself is steeped in history, a nearby ancient monument – one of the planet’s most important – was simply unmissable. 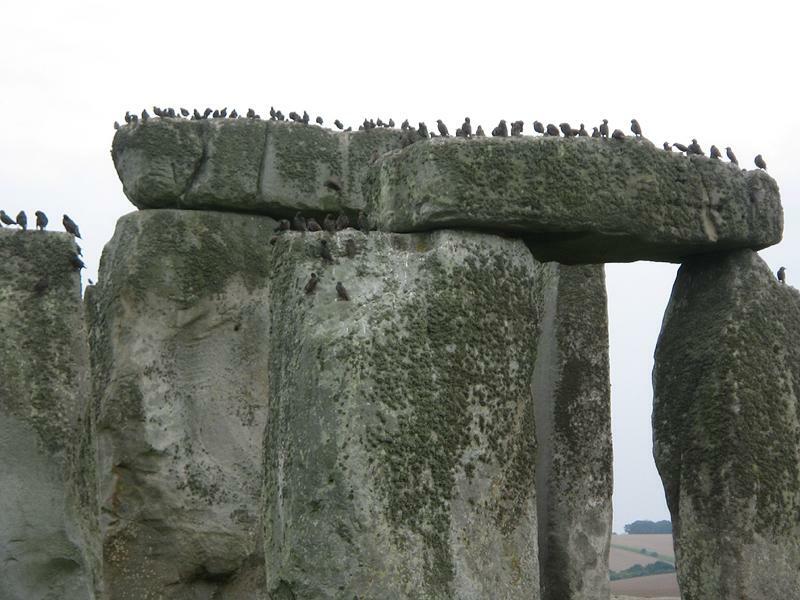 The history of Stonehenge is extensive to say the least but I found the human level of investigation and repair over the years fascinating. Mile Oak at the top of Portslade once had a henge of its own that was discovered when the A27 was built. All that remains is an exhibition in Foredown Tower on the matter. There is much debate on whether or not a tunnel should be constructed for the busy road beside Stonehenge; similar, in fact, to the battle that raged which led to the construction of the A27’s Southwick Tunnel. I’d be inclined to say that it shouldn’t be built. Tunnels may hide ugly roads but they are inflexible, expensive and susceptible to grottiness. Trees shielding roads in ditches would be preferable in my eyes. Nearly £16 million has been spent on Salisbury Cathedral since an appeal was founded in 1986 and there are still ten years to go before the project is complete. There is a lesson here for the crumbling St. Peter’s Church, the closest that Brighton & Hove has to a cathedral of its own. 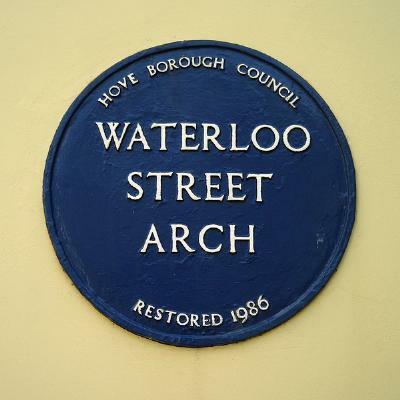 The Battle of Waterloo of 1815 would still have been fresh in the minds of many when Waterloo Street in Brunswick Town was named. The public house at the bottom of the road – now the Iron Duke – opened as the Kerrison Arms Hotel after Sir Edward Kerrison, a famous Hove resident who served at the Battle as one of the Duke of Wellington’s officers. Another, James Smith, a greengrocer on Waterloo Street, was also a veteran. Brunswick Town was developed during the 1820s as a self-sufficient enclave of fine townhouses and service buildings such as stables, a church and a market. The market never really took off though and soon became a riding school. When Alfred Dupont took over the establishment in 1875, he decided to reinforce the connection with Waterloo Street by building a decorative arch. The Classically-inspired Waterloo Arch was built in 1877. It was Grade II Listed in 1971 but by 1980, Hove Borough Council had plans for a major renovation. A ramshackle asbestos and steel building was attached to the structure on the south side of the passageway and the Council’s negotiations with its owners were proving troublesome. By 1985, however, both building and arch were owned by the Council but despite there then being a real need for action, funding was not available. Following the presentation of a residents’ petition with 150 signatures, money was found to enable the project to take place. Hove Council, the Montpelier & Clifton Hill Association and English Heritage paid for the works. 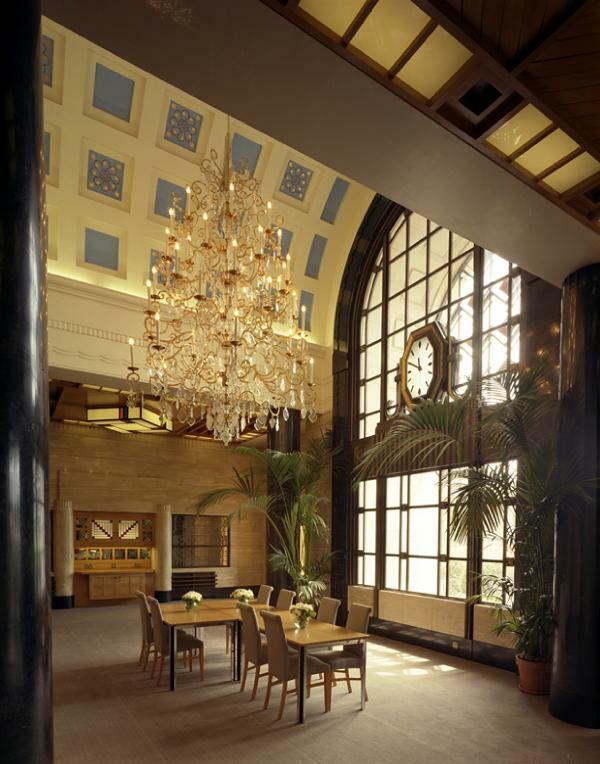 Christopher Dodd, a local architect, was employed for the job as was the structural engineering firm, Dixon Hurst & Partners. The unwanted lean-to was removed and the arch was refurbished. 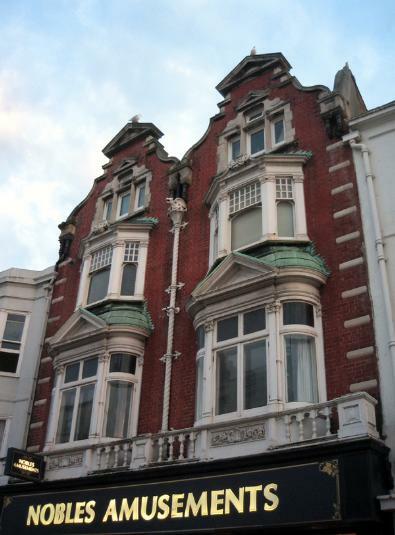 It was reopened in 1986 by the then Mayor of Hove, Ed Cruickshank-Robb. To this day, the materials and redesigned space have stood the test of time well. York stone and brick paving along with tasteful flowerbeds – today maintained by residents – gave the then most chaotic Waterloo Street a much-needed calming influence. 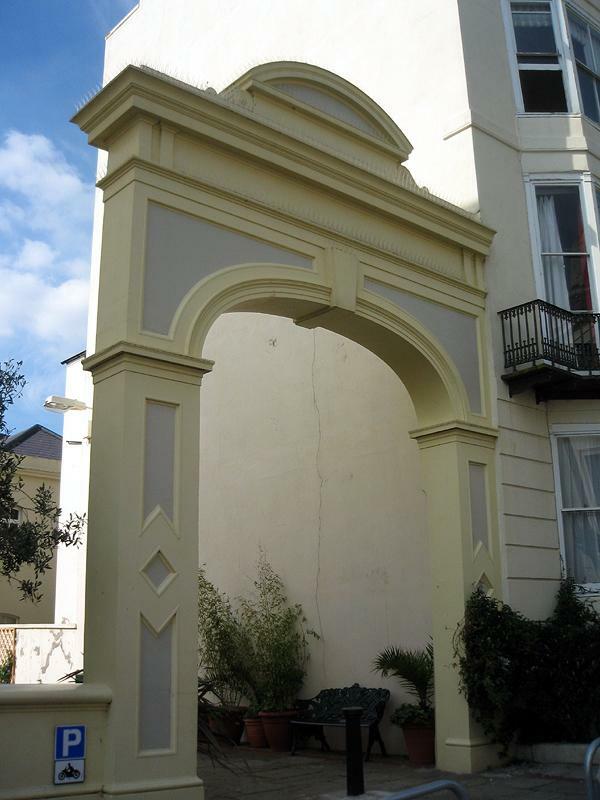 There are fine arches around Brighton & Hove at several locations including Queen’s Park, Down’s Cemetery and Nicholas Churchyard. The Waterloo Arch is a great one though because it is so central yet so tucked away. One of the best ways to learn more is to go on one of Mike Robins’ famous tours of the area. Call 01273 773052 or e-mail mikerobins@live.co.uk for details. Western Road, West Street, North Street, Eastern Road, King’s Road and London Road have all been widened over the years. One major street escaped though and is all the better for it. St. James’s Street was developed from the 1790s and probably takes its name from St. James’s Palace on Pall Mall in London. Although it would today be considered part of Kemp Town, it is technically not. It was in fact built as a shopping street to serve the flourishing East Cliff development before Thomas Kemp’s Kemp Town of Sussex Square, Lewes Crescent and surroundings was even conceived. Widening a road isn’t solely about increasing the width of the carriageway and decreasing the width of the pavements – it’s principally about demolishing buildings. This is why there are so many Art Deco buildings on Western Road and West Street; each was widened during the 1920s/30s. St. James’s Street may not have been widened but one-way traffic was introduced in 1968 instead to cope with congestion. All of Brighton’s trademark architectural styles are represented on St. James’s Street – Georgian, Regency, Victorian and even a bit of Art Deco (Red Roaster Coffee House). Quite rightly, many are Grade II Listed. My personal favourite is No. 126/7; a Victorian red-brick symmetrical masterpiece with a fierce dragon guarding a central ornate downpipe. Various Regency buildings include the usual trademark features of the period including bow windows and classical capitals. A St. James’s Church once existed on the Chapel Street corner. 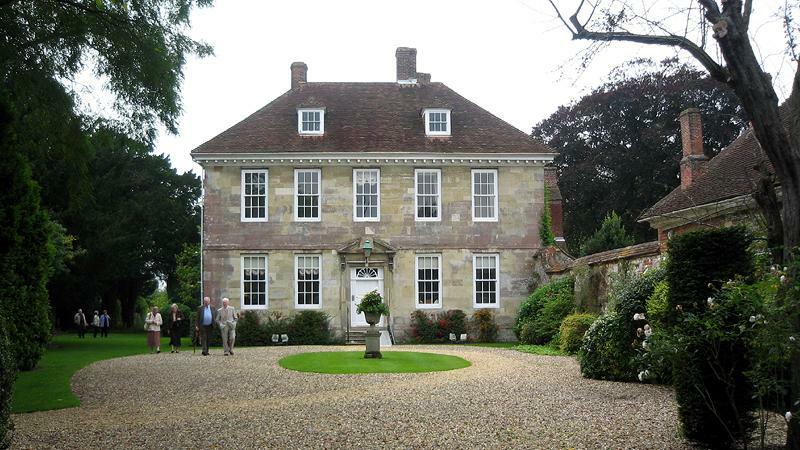 It was built in 1810-13 on land granted by Thomas Kemp’s uncle, Nathaniel Kemp. Despite being rebuilt in 1874-5, it was demolished in 1950 and became a Co-Op. 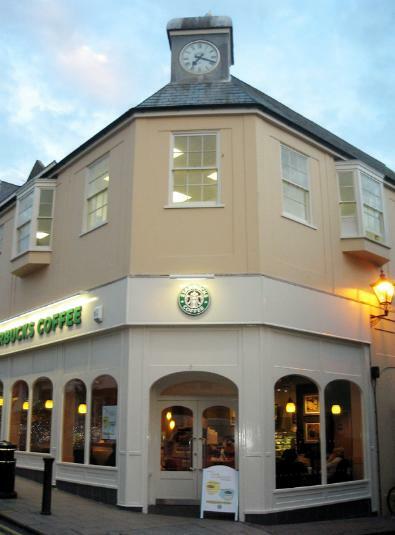 There was uproar earlier this year – protests even – when Starbucks Coffee opened a branch on St. James’s Street without the necessary planning consent from Brighton & Hove City Council. Although several chain stores already operate on the road, the traders are predominantly local. It’s not so much that a coffee shop owner got one up on the Council that’s causing so much frustration: it’s more about the helplessness faced by individuals when fighting unwanted giants. The relationship between pedestrians and vehicles is an interesting one. When priority was given to people over cars on New Road in 2007, the road really came alive. A similar result is expected on Black Lion Street when work is complete. St. James’s Street may well benefit from a similar scheme. Commercial buildings regularly change their names as tenants come and go. But what happens to the name when a tenant moves out of a building that has been specifically built for and named after it? It’s difficult to imagine what Amex House on Edward Street would be called if American Express moved out. The building was created for Amex, and Amex still occupies it. In London, the change in name of the Natwest Tower to ‘Tower 42’ is a famous example of a situation where the original tenant has vacated. In the case of Unilever House on the Thames beside Blackfriars Bridge, now being presented as ‘100 Victoria Embankment’, the name has been changed for a slightly different reason. Like the Natwest Tower, Unilever House is one of London’s most iconic structures; and a particular favourite of mine too. During a stroll to the Tate Modern a couple of years back, I was shocked to see that the entire rear of the building was missing. 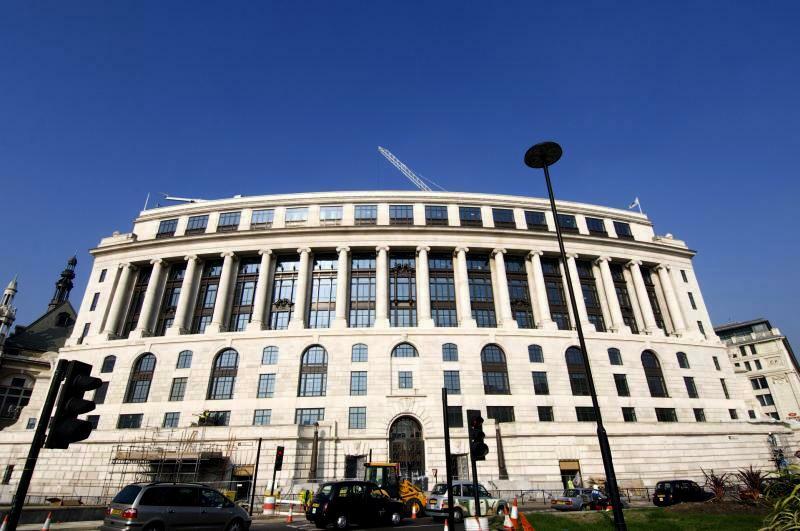 Unilever had decided to redevelop the Grade II Listed structure; sell it to an investor; and lease part of it back. Presumably the name was changed to increase marketability to prospective tenants of the remaining sections. Art Deco buildings generally lend themselves well to sub-division due to their steel frames (not so many load-bearing walls) and the constant floor heights throughout (as opposed to Regency buildings with massive first but tiny top floors). In the case of Unilever House, which opened in 1932, everything but the façade went in the redevelopment. It was ‘deconstructed’ – carefully dismantled so that useful components could be reused. The steel that was removed weighed 6,000 tonnes alone! A large atrium replaced four separate light wells and the lifts were placed together in a central core. The best of the original Art Deco features remain though, which contributes in part to the project being a great success overall. The closest that we have locally to Unilever House architecturally is the now derelict Co-Op building of 1931 on London Road. This building could easily be returned to a grand state. Demolition is not necessary. When Natwest moved out of the Natwest Tower, it would have been difficult to retain the name officially. But in the case of Unilever House, I see little reason for change – Unilever is staying put; Unilever House is a great name; and everyone ignores the PR people anyway. The Old Royal Naval College at Greenwich and its glorious surroundings, including the world-famous Observatory, are best viewed from the Thames as I discovered during another maritime-themed trip out and about with the Godfather. The view is one of pure history. But looking back from the Queen’s House, the centre-piece of the development, things couldn’t be more different. The majestic Queen’s House was built for Anne of Denmark by Inigo Jones as the first classical building in England. It was part of the Palace of Placentia, which was the principal residence of Henry VII and the birthplace of both Henry VIII and Elizabeth I. The beginnings of a new palace for Charles II were constructed by the river but the project never came to fruition. 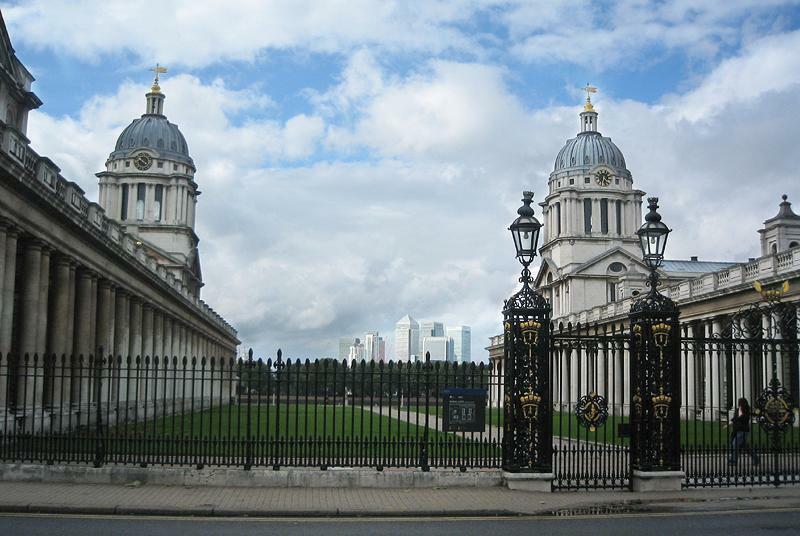 Instead, the scheme was massively adapted by Sir Christopher Wren with breathtaking symmetry in mind and became Greenwich Hospital, later the Naval College. Across the river from Greenwich is Canary Wharf, built on the old West India Docks. It contains not only 1 Canada Square, the tallest building in the UK, but also 8 Canada Square and the Citigroup Centre, the next two tallest. It’s not hard to imagine that the futuristic view from Greenwich, though not historic, is somewhat iconic. The original Kemp Town – and by that I mean Lewes Crescent, Sussex Square and a select few surrounding streets – was Brighton’s first great classical composition. One objection to having towers at the Marina is the effect that they would have on old Kemp Town. And I can understand why. Many oppose towers per se but for me it’s a love-hate relationship. Towers polarise – I love New York; I hate everything tall here from the 1960s. The Marina is the one place in Brighton & Hove where towers might work. I’d love to see towers with integrity there but simply wouldn’t trust anybody to build them. A mini-Manhattan of high quality individual towers would work. If an adventurous masterplan was in place, all of the Marina’s major defects could be fixed in one hit – ground level, access, layout, etc. There’s simply nothing there worth keeping so why not just start again? Thomas Kemp certainly would. What could be achieved at the Marina is uncertain but it does provoke thought. What is certain though is that the towers of Canary Wharf add to the charm of Greenwich. 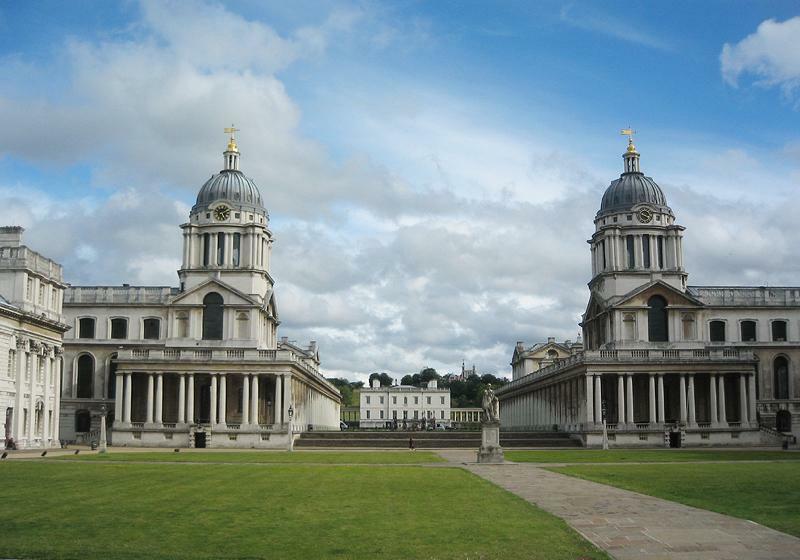 And Greenwich is a UNESCO World Heritage Site.